Our Wine Appreciation Class is designated for people of all levels of wine knowledge with the objectives of improving their knowledge in how to best enjoy wine and have fun with it. The class is conducted monthly (every 3rd Saturday of every month) for $45/person or $70/person if lunch is desired after the class (Connoisseur members are $40/person and VIP for $20/person for the class only). For those individuals who are intimidated by wine and wine-speak, you will find this class entertaining and enlightening. Shane Sevier, who is one of our tour directors and is also an assistant winemaker, gives the class in an entertaining manner. 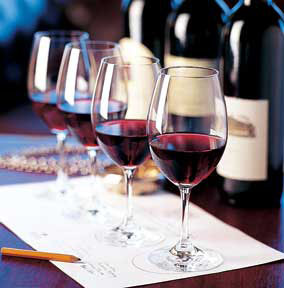 Individuals interested in attending the next class should register by contacting the winery at 951-676-8231 x109. Class sizes are limited so all reservations must be made in advance.